Your CATENA watch is warranted by CATENA S.A.* for a period of twenty-four(24) months from the date of purchase under the terms and conditions of this warranty. 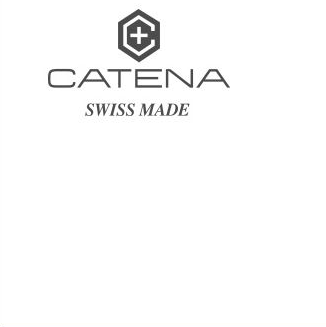 The international CATENA warranty covers material and manufacturing defects existing at the time of delivery of the purchased CATENA watch (“defects”). The warranty only comes into force if the warranty certificate is dated, fully and correctly completed and stamped by an official CATENA dealer (“valid warranty certificate”). During the warranty period and by presenting the valid warranty certificate, you will have the right to have any defect repaired free of charge. In the event that repairs will not restore the normal conditions of use of your CATENA watch, CATENA S.A. guarantees its replacement by a CATENA watch of identical or similar characteristics. The warranty for the replacement watch ends twenty-four (24) months after the date of purchase of the replaced watch. the handling of the watch by non-authorized persons (e.g. for battery replacement, services or repairs) or the alteration of the watch from its original condition beyond CATENA S.A.’s control. Any further claim against CATENA S.A., e.g. for damages additional to those described above in this warranty, is expressly excluded, excepting mandatory statutory rights the purchaser may have against the manufacturer. does not affect the purchaser’s rights against the seller nor any other mandatory statutory rights the purchaser may have against the seller. The CATENA S.A.’s customer service ensures the perfect maintenance of your CATENA watch. If your watch needs attention, rely on an official CATENA dealer or an authorized CATENA Service Center as set forth in the enclosed list: they can guarantee service according to CATENA S.A.’s standards. © 2015 CATENA S.A. All rights reserved. Les Vernets 2-C, P.69-2035 Corcelles, Switzerland. Most orders are processed within 24 hours of credit card approval. Orders placed on Saturday and Sunday will be processed on Monday. Orders placed on an official holiday will be processed on the following business day.2-14days delivery under Fedex International Priorty Services depending on shipping destination. Shipping charges vary depending on the package size, weight, and destination. You may return any unworn, undamaged merchandise purchased online from our web page by mail within 30 days (no exceptions) of delivery for a full refund or exchange of the purchase price. If returned by mail, you will need to pay for return shipping, but CATENA will ship any exchanged item free of charge. Shipping & handling fees are non-refundable, except for defective or wrongly shipped items. Any watch that fails quality inspection from Customer Service (scratches, worn, damaged) will be returned to you and no refund will be issued. Watches with rubber straps that are sized (cut) are not returnable or exchangeable. All return documents (packing slip/return labels) are on the outside of the box in a plastic sleeve. Please note: All exchanges must be equal or greater in value to the returned merchandise. If the value of the item(s) that you wish to exchange exceeds the value of your returned item(s), you will be charged the difference. To return an item, please follow the instructions on the back of your packing slip. Please complete the form that came in the box and enclose it with your returned merchandise. The watch must be returned with box, warranty cards, user manual, and any extra links due to bracelet sizing. In order to expedite your return, you must choose the appropriate reason code for your return on the packing slip. Carefully package merchandise to prevent damage in transit. Ship your return using the return label sent to you on the bottom of the original invoice. If you do not have your packing slip, please contact us at +852 2721 1168 (From 9 AM to 5 PM HKT Monday through Friday) or by Email– sales@switimeltd.com.hk. Kwun Tong, Kowloon, Hong Kong. If your merchandise has a significant defect right out of the box (e.g., the product is broken, has missing parts, etc.) or you have received the wrong merchandise, we'll be happy to exchange it. Please contact our Customer Service representative at +852 2721 1168 (From 9 AM to 5 PM EST Monday through Friday)within 72 hours from the date of delivery, and at our discretion, we will send you a replacement or issue you a full refund after you have returned the damaged or defective product. Items damaged due to customer abuse or negligence will not be accepted. You will not be charged any additional shipping fees for replacement items. The 30 day return policy will be extended to January 31st of the following year for online purchases made between December 1st and December 31st. All information and materials on the Website are presented solely for the purpose of providing general information on and promoting products and services of Catena. Such information and materials do not constitute offers for products and / or services of Catena or official retailers or other third parties, nor do they constitute advice or other instructions on the use of products and / or services of Catena. The Website may contain information on Catena's worldwide products and services, not all of which are available at every location. A reference to a Catena product or service does not imply that that product or service is or will be available at your location. Catena does not claim any ownership rights in the text, files, images, photos, video, sounds, works of authorship or any other materials that you may post (“User Content”) on the Website. After posting your User Content, you continue to retain all ownership rights in it, and you continue to have the right to use it in any way you choose. By posting your User Content on or through the Website, you hereby grant Catena a non-exclusive, sublicensable, transferable, free and worldwide license to use, modify, publicly perform, publicly display, reproduce, and distribute your User Content on and through the Website or in the Catena section of a third-party platform (Facebook, Twitter, etc.) until you remove your User Content from the Website. You are solely responsible for the User Content that you post on the Website. You may not post, transmit, or share User Content on the Website that you did not create or that you do not have permission to post. User Content is not necessarily reviewed by Catena prior to posting and does not necessarily reflect the opinions or policies of Catena. Catena makes no warranties, express or implied, as to User Content or the accuracy and reliability thereof or any material or information that you transmit to other users. You are prohibited from posting or transmitting any unlawful, threatening, libelous, defamatory, obscene, scandalous, inflammatory, pornographic or profane material or any material that could constitute or encourage conduct that would be considered a criminal offence, give rise to civil liability or otherwise violate any law. Catena expressly reserves the right to remove any information or materials posted or transmitted by anyone which is in breach of these rules, including any offers for watches. Catena will fully cooperate with any law enforcement authorities or court order requesting or directing Catena to disclose the identity of anyone posting any such information or materials. The Website together with any information, text, images, photographs, audio and video clips, designs, graphics, logos, symbols, names, product and corporate designations, as well as all software contained in the Website and all other files, and their selection and arrangement (“the Website Content"), are subject to legal protection, in particular copyright, trademarks and design rights held by Catena, its affiliates, its users or its licensors with all rights reserved. No Website Content may be modified, copied, distributed, framed, reproduced, republished, downloaded, displayed, posted, transmitted or sold in any form or by any means, in whole or in part, without Catena 's prior written permission, except that the foregoing does not apply to your own User Content that you legally post on the Website. In addition, no digital content whatsoever may be copied into other programs without the prior written approval of Catena. While Catena uses reasonable efforts to include accurate and up-to-date information on the Website, it makes no warranties or representations with respect to the Website Content, which is provided "as is." In particular, Catena neither warrants nor represents that your use of the Website Content will not infringe the rights of third parties not owned by or affiliated with Catena. Catena assumes no responsibility, and shall not be liable for, any damage to, or viruses that may infect, your computer equipment or other property on account of your access to, use of or browsing of the Website or your downloading of any materials, data, text, images, video or audio from the Website. Catena reserves the right to interrupt or discontinue any or all of the functionalities of the Website. Catena accepts no responsibility or liability whatsoever for any interruption or discontinuance of any or all functionalities of the Website, irrespective of whether this is the result of actions or omissions ofCatena or any of its affiliates or any third party. The Website Content may contain technical inaccuracies or typographical errors. Catena reserves the right to make changes, corrections and/or improvements to the Website Content at any time without notice. Because Catena has no control over and does not endorse any of the sites to which the Website is linked and because Catena has not reviewed any or all of the sites to which the Website is linked, you acknowledge that Catena is not responsible for the content of any off-site pages or any other sites linked to the Website. Responsibility for access to off-site pages and linked third-party sites rests solely with you. Framing of the Website by sites or site elements of parties not part of Catena is not permitted. In-line linking or any other manner of incorporating parts of the Website on sites of parties not part of Catena is equally prohibited. While Catena endeavors to ensure that the Website is normally available 24 hours a day, it will not be liable if for any reason it is unavailable at any time or for any period. Access to the Website may be suspended temporarily and without notice in case of a system failure, maintenance or repair or for reasons beyond Catena's control. In as much as permitted by law, and except for damage caused by intent or gross negligence, Catena and including the officers, directors, employees, shareholders or agents of any of them, exclude all liability and responsibility for any amount or kind of loss or damage that may result to you or a third party (including without limitation, any direct, indirect, or consequential loss or damage, or any loss of income, profits, goodwill or data) in connection with the Website in any way or in connection with the use, inability to use or the results of use of the Website, any websites linked to the Website or the material on such websites, including but not limited to loss or damage due to viruses that may infect your computer equipment, software, data or other property on account of your access to, use of or browsing of the Website or your downloading of any material from the Website or any websites linked to the Website. Information that you provide by filling in forms on the Website. This includes information provided at the time of registering to use the Website, subscribing to our service, posting material or requesting further services. We may also ask you for information when you enter a competition or promotion sponsored by us or when you report a problem with the Website. We may also ask you to complete surveys that we use for research purposes, although you are not required to do so. The data that we collect from you may be transferred to, and stored at, a location in Switzerland (server location) or another location inside or outside the European Economic Area. All information you provide to us is stored on our secure servers. Where we have given you (or where you have chosen) a password that enables you to access certain parts of this website, you are responsible for keeping this password confidential. We ask you not to share any passwords with anyone. If you are an existing customer, we will only contact you by electronic means (e.g., e-mail, SMS, APP) or by mail with information about goods and services similar to those that were the subject of a previous sale to you. If you are a new customer, and where we permit selected third parties to use your data, we (or they) will contact you by electronic means or by mail only if you have consented to this. We may share non-personal, non-individual statistics or demographic information in aggregate form with our marketing partners, advertisers or other third-parties for research purposes. We may disclose your personal information to any member of our group, which means our subsidiaries, our ultimate holding company and its subsidiaries, who may be inside or outside of the EEA. Who help us to administer the Website (such as our Internet service providers) or to provide the services you are requesting. These third parties must at all times provide the same levels of security for your personal information as Catena. If Catena or substantially all of its assets or any member of our group are acquired by a third party, in which case personal data held by it about its customers will be one of the transferred assets. You have the right to ask us not to process your personal data for marketing purposes. We will inform you (before collecting your data) if we intend to use your data for such purposes or if we intend to disclose your information to any third party for such purposes. You can exercise your right to prevent such processing by checking certain boxes on the forms we use to collect your data. You can also exercise that right at any time by contacting us at http://www.montres-catena.com/en/contact.php. You have the right not to consent to our use of certain cookies. Please see the section below on cookies for more information on this. The Website may, from time to time, contain links to and from the websites of our partner networks, advertisers and affiliates. If you follow a link to any of these websites, please note that they have their own privacy policies and that we do not accept any responsibility or liability for these policies. Please check these policies before you submit any personal data to these websites. Like many websites, we use "cookies", which are files saved on your computer's hard drive by your browser and used to collect and store certain information about you. Most browsers accept cookies automatically but allow you to disable them. The help menu on most browsers will tell you how to prevent your browser from accepting new cookies, how to have the browser notify you when you receive a new cookie and how to disable cookies all together. You can also disable or delete cookies you have previously accepted if you wish to. We recommend that you leave cookies "turned on" so that we can offer you a better experience on the Website. If you set your browser to block all cookies (including strictly necessary cookies), you may not be able to access parts of the Website. We have set certain cookies on your device and recommend that you agree to their use. If you do not, you may still use the Website, but certain parts of it may not work or may not work as well. Functional cookies. These cookies record information about choices you make on the Website, such as your user name, language or the region you are in. In this way, we are able to personalize your visit to the Website. Performance cookies. These “analytical” cookies allow us to collect information about how visitors use the Website, for example to count visitors and to see how visitors move around the Website. They record your visit to the Website, the pages you have visited and the links you have followed. These cookies do not collect information that identifies you. All information is anonymous. This helps us to improve the way the Website works. For visitors accessing our Website from Mainland China (PRC), we may use the Site Monitor service provided by Miaozhen Ltd., Beijing, PRC, instead of Google Analytics, for the same purposes and within the same limitations, but with servers in the PRC. For opting-out the use of Site Monitor on your browser, please visit http://i.miaozhen.com/cookie_opt.html. Social media cookies. These cookies allow you to share Website content with social media platforms (e.g, Facebook, Twitter, Instagram). We have no control over these cookies as they are set by the social media platforms themselves. Advertisement cookies. These cookies allow us to deliver tailor-made advertisements to you on third party websites based on your interests in our products and services manifested during your visit on our Website. These cookies do not collect information that identifies you. All information is anonymous. Anonymous data created by using Google Analytics Advertising Features may be used for demographics and interest reporting as well as network impression reporting.